March 19th is Saint Joseph’s Day. Time to move on from Patrick and celebrate Saint Joseph and anyone whose name is Joseph. This is your day! For the last few years I’ve been wanting to make Saint Joseph cakes. Individual-sized pastries luscious and creamy. But then March 19th would come and go and there I’d be with no cake. Not this year. I wasn’t going to let that happen again. I’ve eaten them in NY, where you can find them at Italian bakeries. But how do you make them? I scanned the Web for recipes. I discovered there’s more than one way to make a St. Joseph’s cake. 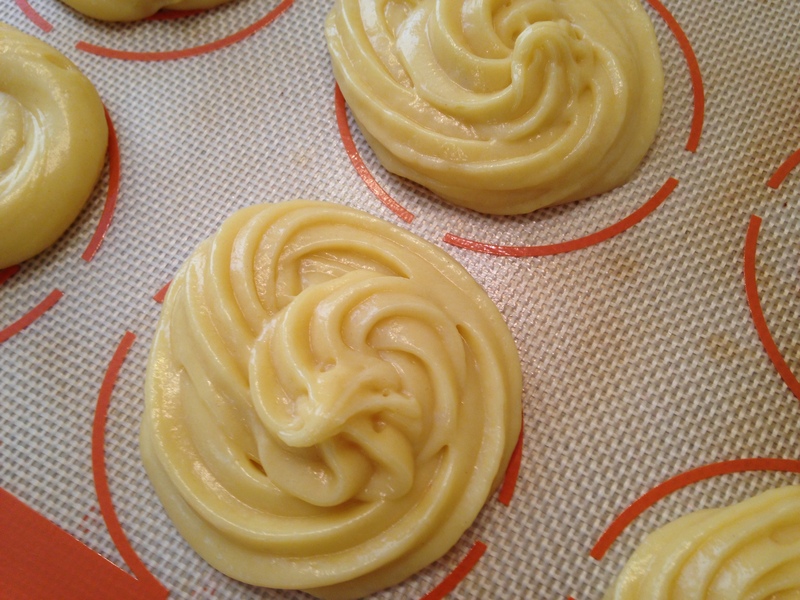 Most recipes used a pate a choux batter. But you can fry the cakes or bake them. Stuff them with whipped cream. Or ricotta. Or a combination of both. Or stuff them with custard cream. Which one is right? Which one authentic? I couldn’t find the answer. Maybe they’re all correct. Each baker with their own authentic recipe. So I made an executive decision (being the CEO of my own kitchen). 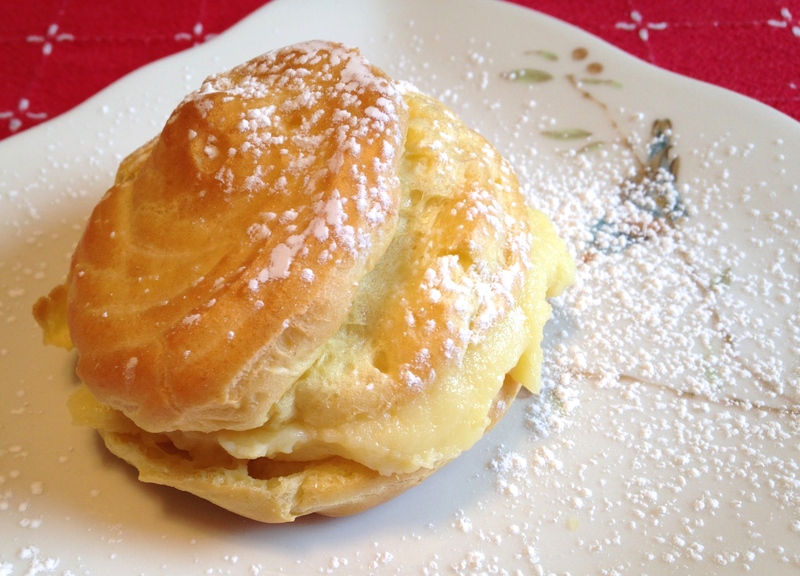 I’m gonna use my pate a choux recipe and my custard cream recipe and make St. Joseph cakes! Beat in 3 tablespoons of corn starch. On the stove heat 1 1/2 cups of milk to scalding. Slowly add hot milk to the egg mixture while machine runs on low. Then return the whole mixture back to the pot and heat on medium, stirring with a wooden spoon, until thick. About 5-7 minutes. Stir in 1/2 teaspoon vanilla and about 1/4 cup rum. 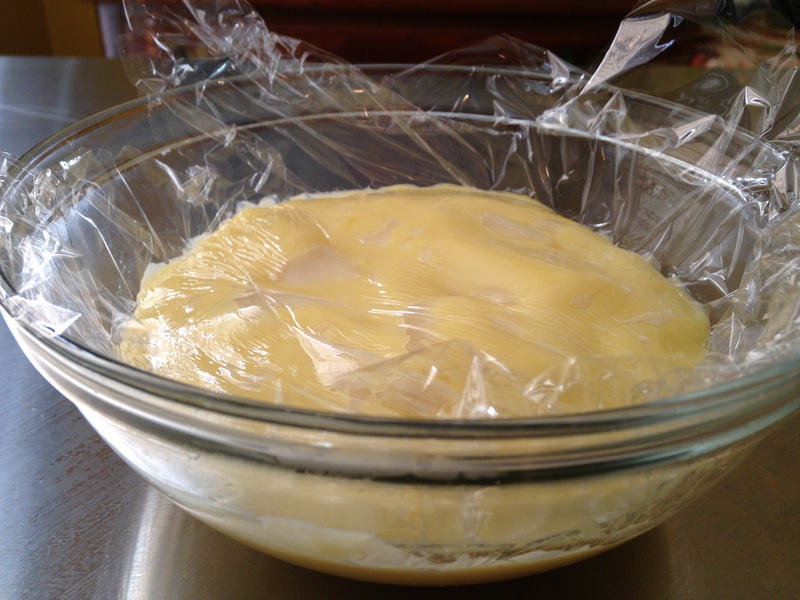 Pour into a bowl and place plastic wrap on top of the custard surface. Chill in the refrigerater until cooled. 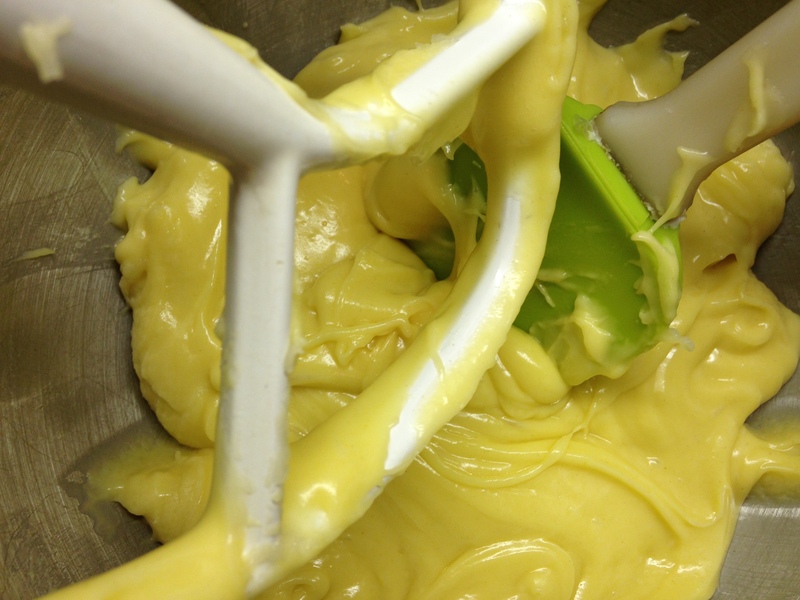 Now make the pate a choux. 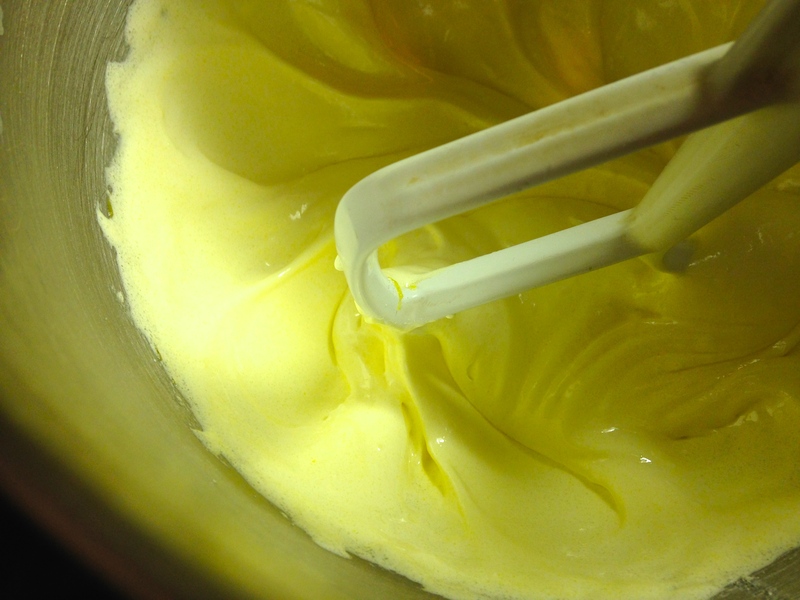 In a medium saucepan heat 1 cup of water, 6 tablespoons of butter and a healthy pinch of salt. Bring to a boil. 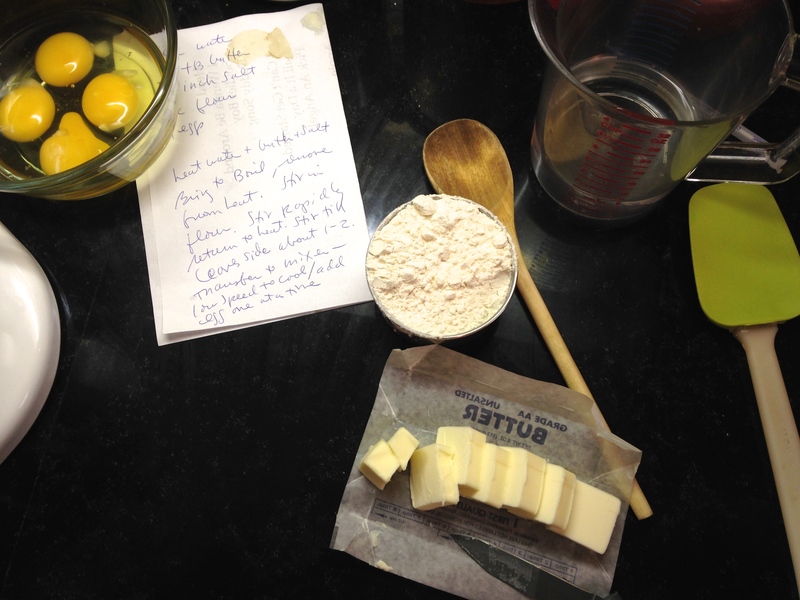 Then take off the heat and whisk in 1 cup of flour till combined well. Put pot back on the heat and switch to wooden spoon. Stir rapidly until dough is dry and leaves the sides of the pan easily. 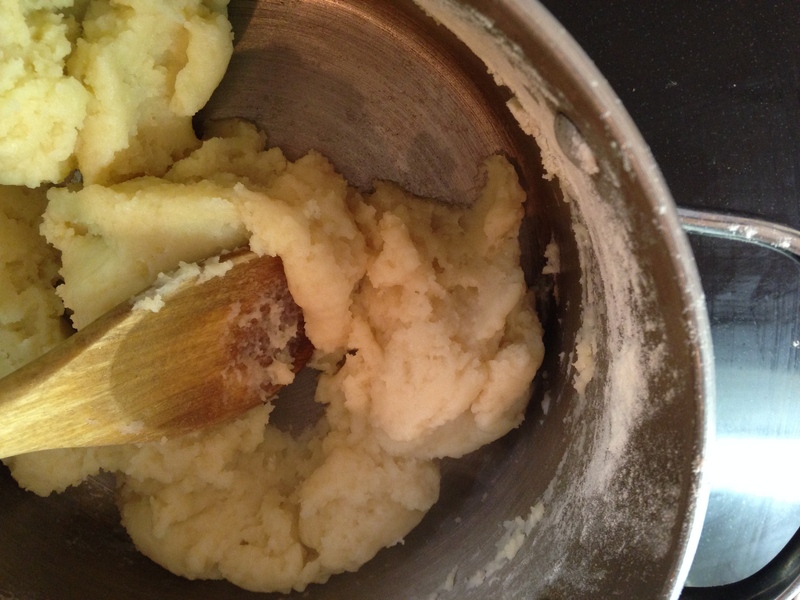 Transfer the dough to the bowl of a stand mixer and mix on low for a few minutes to cool down the dough. 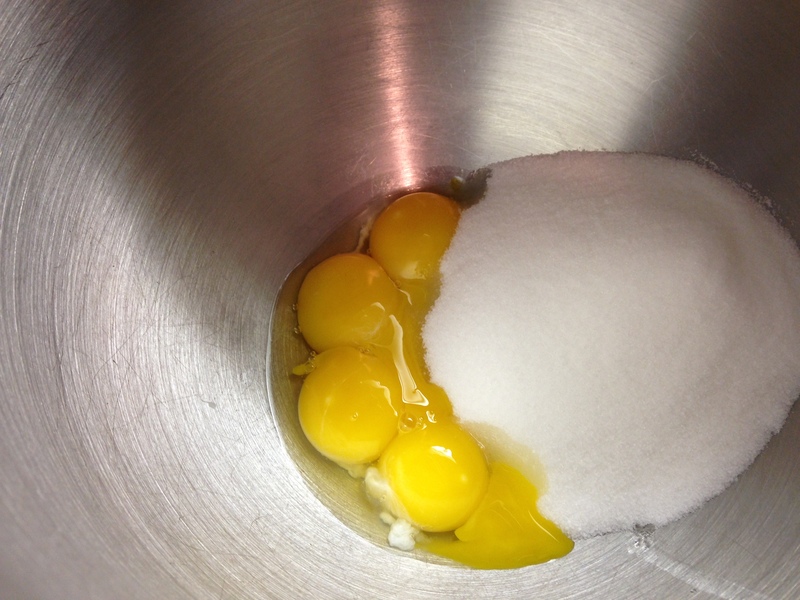 Then add 4 eggs, one at a time until each is incorporated. Now the fun part. Get out your piping bag with a large star tip. Pipe a 2-inch circle and swirl back into the center. Bake at 425 for about 15 -20 minutes until puffed. Turn down oven to 350 and bake until deep golden, about another 10 minutes. Once out of the oven I poke each pastry with a toothpick to allow steam to escape. Let cool completely. 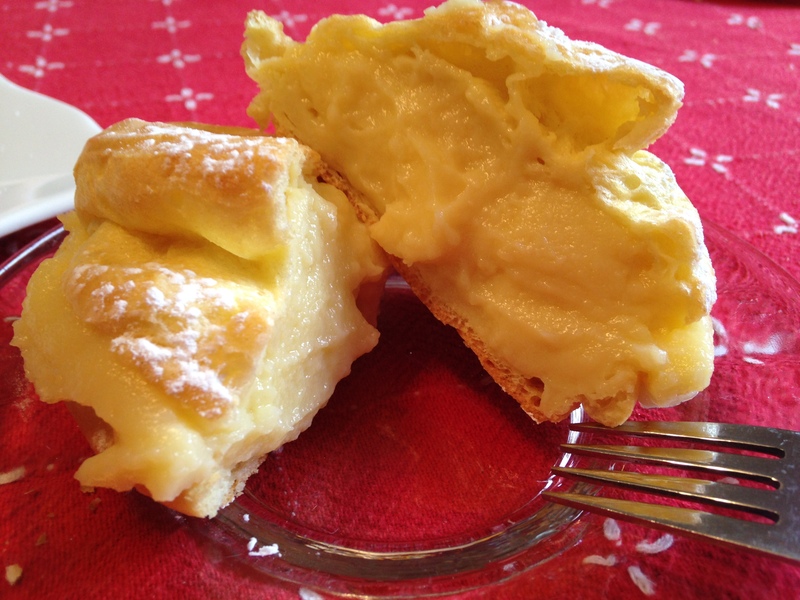 Then cut in half horizontally and fill with custard cream. Sprinkle some powdered sugar on top. Yes. You’re allowed more than one. Especially if your name is Joseph.